Version 1.6.5 1.6.6 of the Asgaros Forum plugin for WordPress adds categories to user groups and fixes a couple of long-outstanding bugs. 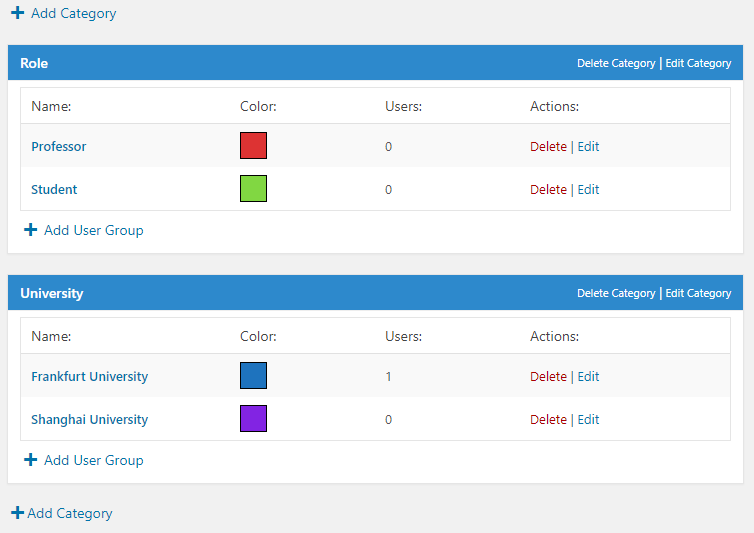 Similar to forums, you can now categorize your user groups into categories. This allows you to structure your groups in a more intuitive way. Version 1.6.5 1.6.6 of Asgaros Forum is now available via the WordPress Updater! Does this allow me to restrict access to selected forums/sub-forums in any way or is this purely made for organizational purposes? you can limit the access to forums in a forum category for users of certain user groups. Just have a look at the structure administration. I released a new update which is doing a couple of additional checks to skip some parts which can lead to that error. I dont exactly know whats going on in some cases so I am not sure what exactly was the problem. At two sites are all excellent renewed. Thanks for the info, found it! Thank you so much for this plugin. I've not done a site for a long time so please forgive my ignorance. Question: I notice that one can number the order of categories. Can it be formatted so that when adding new categories they go in alphabetical order? For example, my forum is for various medical specialities and I have subcategories within those. Instead of going through the long list of categories, and numbering the order, is there a way that they will auto-organize themselves in alphabetical order for easy indexing?